In the United States, the Fourth of July signifies one of the most important federal holidays, the Independence Day. The holiday commemorates the adoption of the Declaration of Independence in 1776 and the separation of the thirteen American colonies from the British Empire. Nowadays, Independence Day is associated with family gatherings that involve a plethora of traditional dishes, and political ceremonies that celebrate the rich history of the United States. A poem named “To the Fourth of July” can often be heard during these events, as it summarizes the universal will for freedom and liberty. The poem was written by an Indian Hindu monk named Swami Vivekananda, a disciple of the famous Indian mystic Ramakrishna. 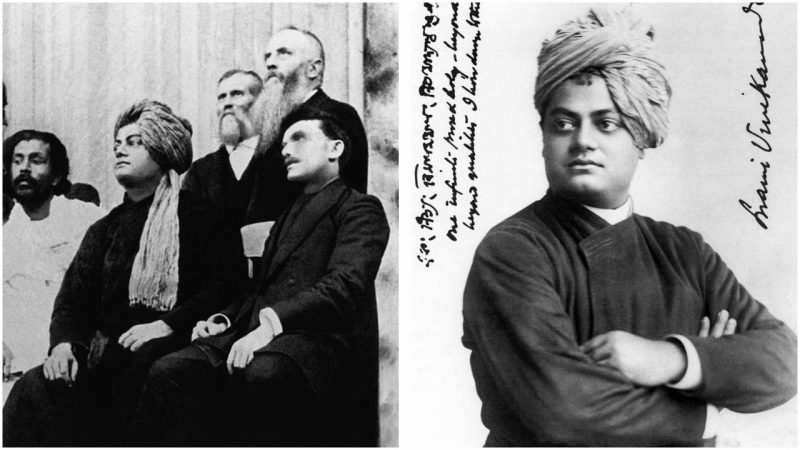 Vivekananda traveled the world and gave lectures on the Hindu philosophy, and was the first Hindu monk to popularize the practice of yoga and the philosophy of Vedanta in the Western world. 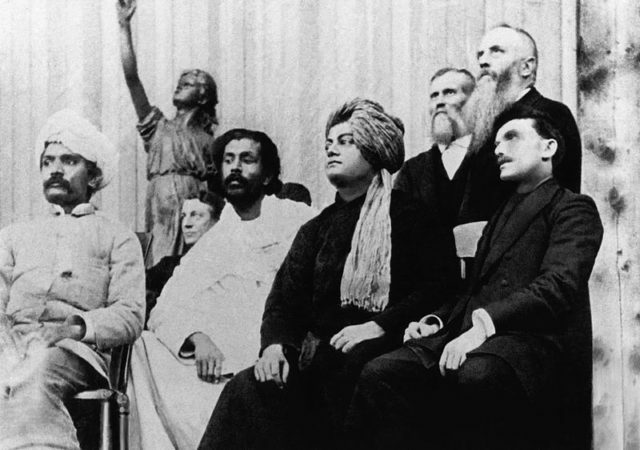 Vivekananda first traveled to the United States in 1893, when he represented India and Hinduism in the Parliament of World’s Religions. After this, he extensively traveled the United States and the United Kingdom and gave religious lectures on the Vedanta. 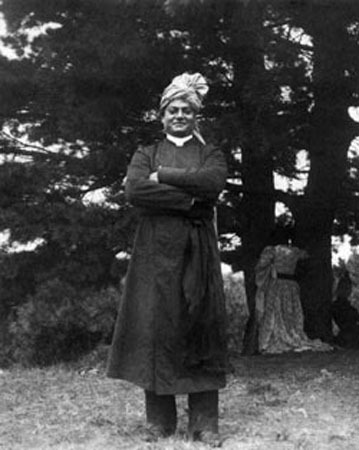 Vivekananda was amazed by the United States and was especially moved by the spirit of freedom that he encountered among Americans of the late 19th century. He felt that the American dedication to liberty mirrored the dedication to freedom and enlightenment that he sought to achieve through his meditation and religious practice. He wrote the poem “To the Fourth of July” on the 4th of July in 1898, while traveling in Kashmir with a group of his English and American followers. The group celebrated Independence Day, and Vivekananda read the poem out loud during the day’s breakfast. 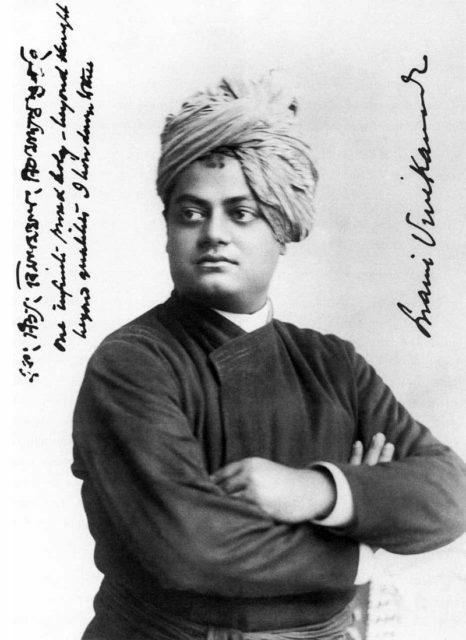 Vivekananda devoted his life to the pursuit of spirituality and enlightenment. He meditated every day for several hours, and during one of his meditation sessions, he received a vision which told him that he would die before his 40th birthday. Incidentally, he died on the 4th of July in 1902, aged 39. His disciples found him dead after he retired to his quarters for his evening meditation. The cause of death remains unknown, but his disciples claim that he died intentionally while achieving “mahasamadhi.” Mahasamdhi is the final stage of deep meditation, where the yogi consciously leaves one’s own body. 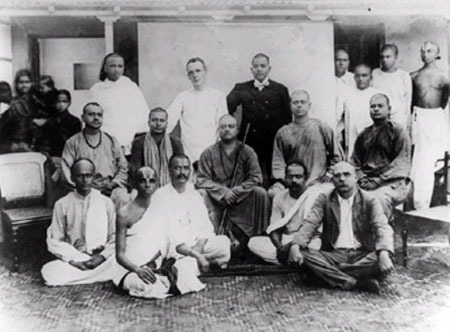 Since Vivekananda was regarded as the spiritual heir of the great Ramakrishna, his disciples celebrated his death as a moment of great religious significance.